The centerpiece of Triglav National Park and standing at an impressive 2864m above sea level it is both the highest mountain in the Julian Alps as well as the highest peak in Slovenia - and it's the mountain that we've settled on as our target for our winter 2013 expedition. Before I go on with the how's, why's and when's it's only fair to run through the who's; accompanying me on this adventure are "Cptn Street" (James Street) and "JD" (James Davers) who I'd met earlier in the year (April 2012) during my Mountain Leader (ML) course with Hampshire Mountain Centre. We'd all got on wel during the course and had been looking for an excuse to get out into the hills/mountains for something a bit more challenging than a trip to Ben Nevis or Pen-y-Fan. So it was during a planning "meeting" for a trip to Scotland that we came up with the idea of doing things properly and planning for a proper expedition. That way we could use Scotland as a training/proving ground for a more adventurous trip to the summit of Triglav towards the end of 2013. The main idea for this trip is to practice our winter skills, as a team, and learn certain aspects of winter mountaineering that are, at present, unfamiliar to us such as moving as a group while roped, climbing as a 3 man team and the finer points of kit preparation and packing. 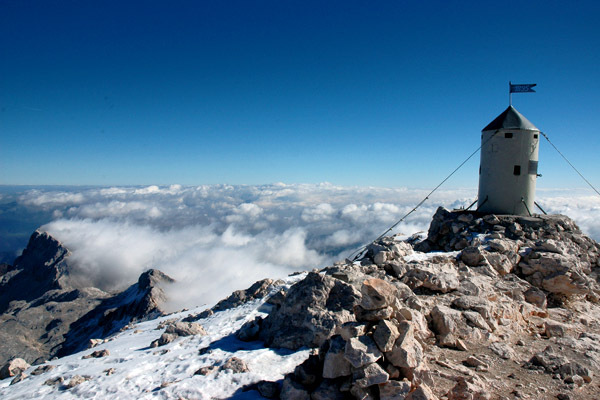 Summer trip to Triglav to reconnoitre routes and accommodation (mountain huts), test kit and familiarise ourselves with terrain and, hopefully, get some local knowledge for the summit attempt later on in 2013. Final refresh of winter skills and kit packing before the "summit push". This trip will follow a similar plan to the December 2012 trip to Scotland but with a more challenging routes on days 2 and 3. All major decisions around kit, packing and routes for the Triglav trip will, hopefully, have been made prior to this trip. More detail on each of the 4 stages above will be reported back on separate posts as we update the agenda and have completed each stage - this will hopefully give a more in-depth insight into all of the challenges and successes that we have in planning, and ultimately succeeding, our attempt on Triglav. Experience of the Group - the 3 of us have mixed levels of experience in walking, climbing and mountaineering but we need to work as a team to have any chance of success. JD has participated (and completed!) the North Pole race so has a fair bit of experience with the cold! Kit - as our ultimate goal requires us to fly to Slovenia with all of our kit we are going to have to learn to pack both the kit we need as well as the kit that we are able to take; we're not commercially funded so paying for huge excesses of luggage on the plan is not an option! There will be many conversations between the three of us and much planning will take place even before the first trip to Scotland in December 2012 and I'll try to update as much as possible onto this blog so that it will (hopefully) provide a useful resource for anyone who is looking to plan and undertake similar challenges.